Fortnite Reboot Vans locations are spread evenly across the battle royale map at least at every named location. Now that they’re finally out following patch v8.30, these vans are respawn stations similar to the Respawn Beacons in Apex Legends. In Apex Legends you can grab Banners from the loot crates of your fallen teammates and use them at special Respawn Beacons – all of which are indicated on our Apex Legends map guide – which is a risky play, but can turn the tide of the match in your favour. Your buddy will drop in with no gear at all though, making late game revives very challenging. 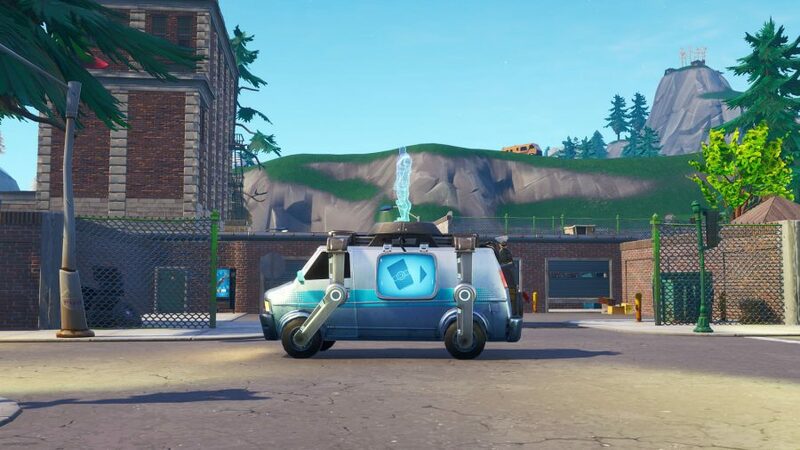 Fortnite’s vans work in much the same way: you pick a Reboot Card off your teammates corpse and take it to the Reboot Van to bring them back. The Fortnite Reboot Vans are not clearly indicated on the map, so we’re here to show you where they all are so you can get your squad back in the game. We already had an idea of where would be as they curiously appeared in Replay Mode. Regardless, here are all the Fortnite Reboot Van locations. 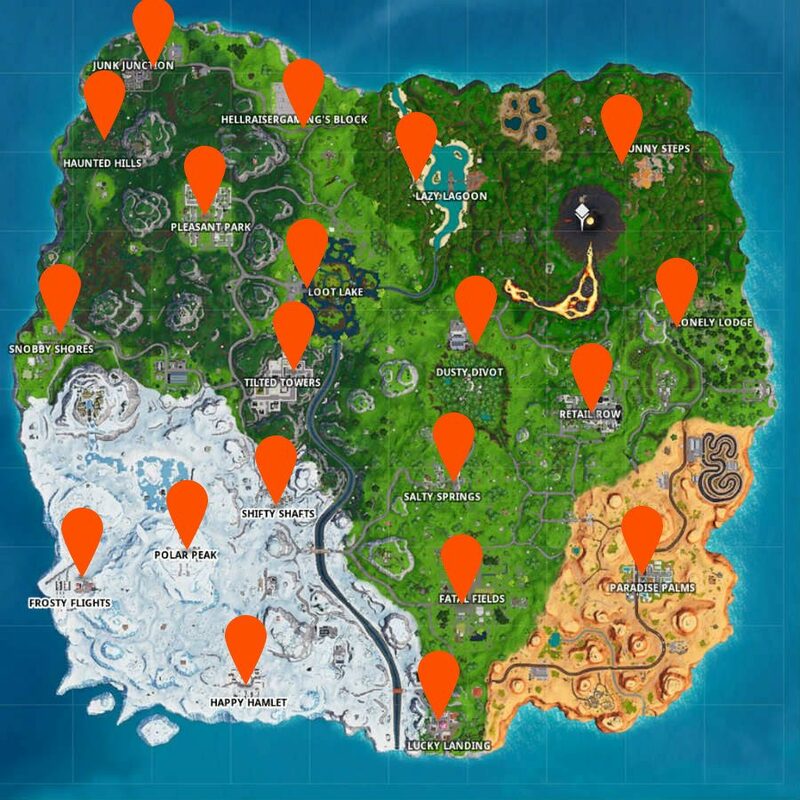 Here is a handy map showing where you can find every Reboot Van in Fortnite. They are active from the start of a match, so they’re especially handy if you’re landing somewhere hot like Tilted Towers of Pleasant Park. They still appear in solos but, for obvious reasons, you won’t have the Reboot Card necessary to use it. Below is a map to help you find them all. There you have it, all the Fortnite Reboot Van locations to give your team a second chance at a Victory Royale. In the meantime, make sure you use the new revival system to get yourself back in the game to complete all your weekly challenges. For instance, with the v8.30 update comes the Buccaneer’s Bounty challenges, and you can start those by visiting one of the smattering of Fortnite Pirate Camps across the map. In the meantime, best of luck getting a win, and best of luck again as you wait in vain to be respawned, if you don’t.